FINALLY! A mom of triplets' dream come true! No more high chairs to clean, and when your babies are finished eating, use it as an activity table! Triplet Tables are a mom's best friend! Sit on the other side of them, line 'em up, and feed! 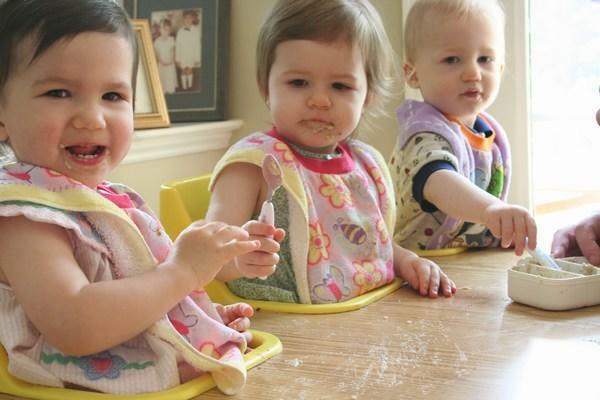 Once your triplets begin to eat solid foods, one of your biggest time-wasters will be to clean all the crevices in high chairs...3 to 4 times a day, 7 days a week, unless you have a Triplet Table! 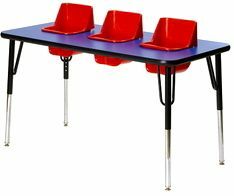 You can dramatically reduce the time you spend cleaning up after your children by purchasing a Triplet Table. Trust us (we have used both), as long as you have the appropriate space in your kitchen, you will LOVE this product! Tip: To see how the table will fit in your space, lay out newspaper on the floor using the dimensions shown below. It can help to see a visual of how much space the table will occupy. 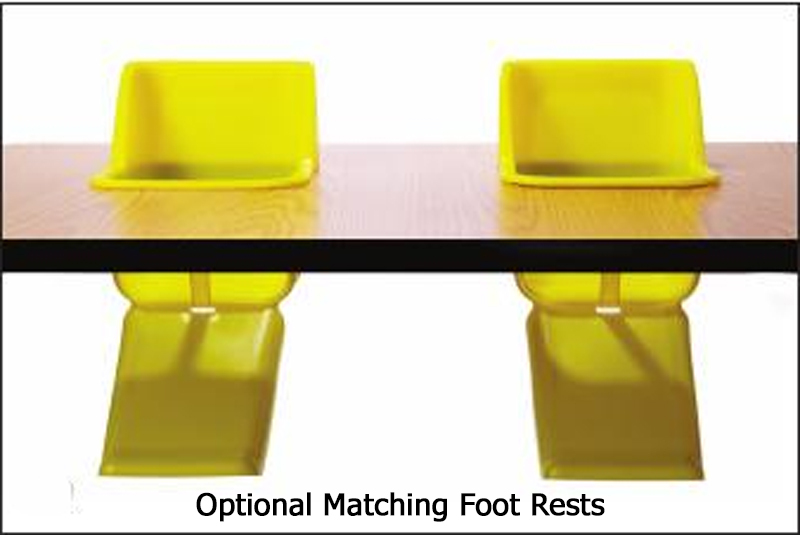 • Height: Adjustable from 19" to 27"
• Optional individual foot rests attach to bottom of each seat. • Shipping weight: 50 lbs. 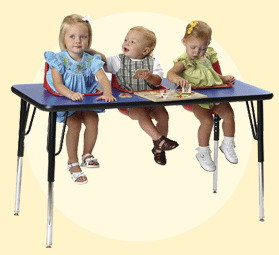 • Tables will usually accommodate children from 5 to 24+ months of age. Due to size restrictions and cost, this product ships within the domestic UNITED STATES only. Ships directly from manufacturer.